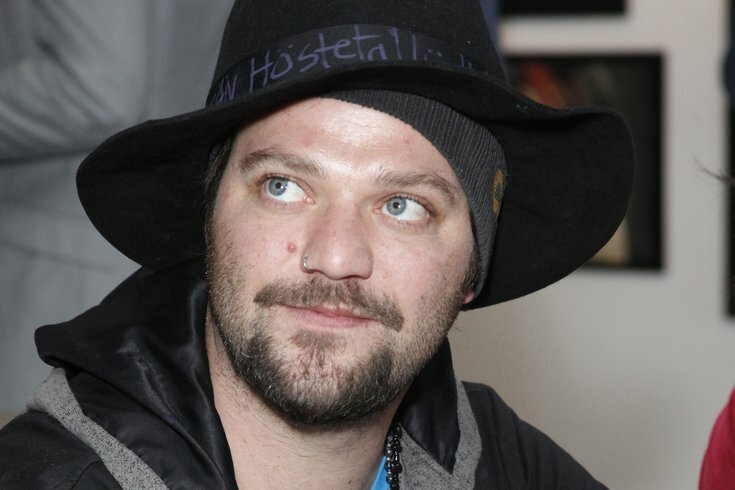 Bam Margera, the former "Jackass" star who weeks ago hosted an open-invite party at his Chester County house, is heading back to rehab for alcohol. Margera, 39, made the announcement on Instagram to his 1.8 million followers on New Year's Eve. "Off to alcohol rehab for the 3rd time," former pro skateboarder wrote. "I am hoping the term 3rd time is a charm is true." In his next Instagram, also posted Dec. 31, Margera thanked fellow "Jackass" alums Steve-O, Brandon Novak and Johnny Knoxville, among others. Margera's rehab announcement is the culmination of several days of Instagram posts that began with photos of Margera celebrating his son Phoenix Wolf's first birthday on Dec. 23 and devolved into photos of handwritten messages and sketches. Some posts were directed at Novak and to Margera's wife, Nicole. A Christmas Eve post to Novak, who has battled substance abuse himself, included the message, "I have spent my whole life fixing Novak. Now that hes fixed, he forgets who fixed him. he has seen Phoenix Wolf once. he is too busy for me. I will get over it. But Im hurt." And to his wife, he posted a photo of a message written on a 2x4 piece of wood that reads: "I brokeup with Nikki on Phoenix Wolfs Birthday because that was always the plan." I’m not trying to say anything, I’m just trying to say. In December, Margera took to Instagram to announce everyone was invited to a party at Castle Bam, located in Pocopson, Chester County, just outside of West Chester. It was billed as one last bash to help tear down the old skateboarding ramps and prepare the property for its future as an AirBnB. The party looked big and seemed to be a success, based on Margera's chronicling of it on social media. The night culminated in a giant bonfire, where a Christmas tree and some furniture met fiery ends. Page Six reports Margera also spent last January in rehab following a DUI arrest in California.